Last edited by era; 11-11-2015 at 09:51 PM. Really like how the car looks with deep dish wheels, gives it a more aggressive look. Doubt the factory offsets would allow it tho? Idk why, but this is freaking cool photoshop!! If it was red, it would of been golden! Followup edit to GrahamDBraun's edit. I did a quick edit to try to bring out more Ae86-inspired features. I don't know why but this car gives me more of a Ae86 vibe than the GT86/FR-S; the headlights remind me a bit of the quirky if not cute popup headlights on the Ae86. It would be nice if they added in more Ae86 features to the production version. 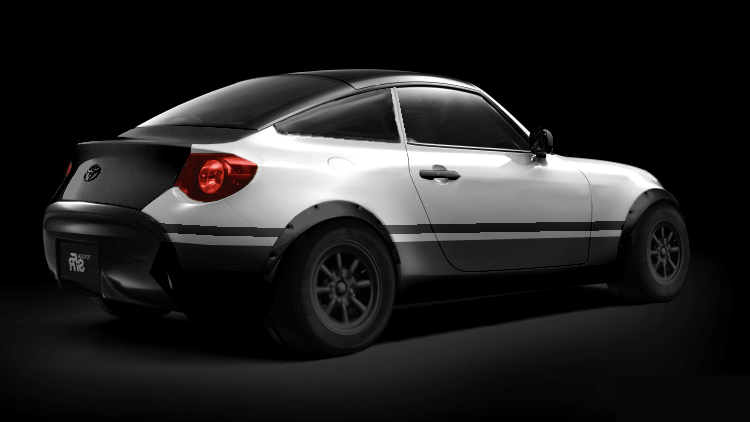 If they make a hatchback option (coupe and hatchback just like the Ae86 had available? ), and get rid of the glass roof, I would definitely buy one as soon as they became available. I agree the S-FR gives me more of an AE86 vibe than the FRS. It's awesome in the snow!